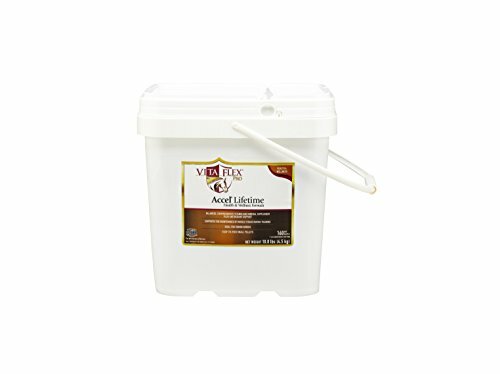 Vita flex Pro accel lifetime health & wellness formula for horses is a comprehensive vitamin and Mineral balanced supplement with additional antioxidant support. It also supports the maintenance of muscle tissue during training and is ideal for senior horses. The easy-to-feed Mini pellets make it simple! available in 5 lb. And 10 lb. Sizes.